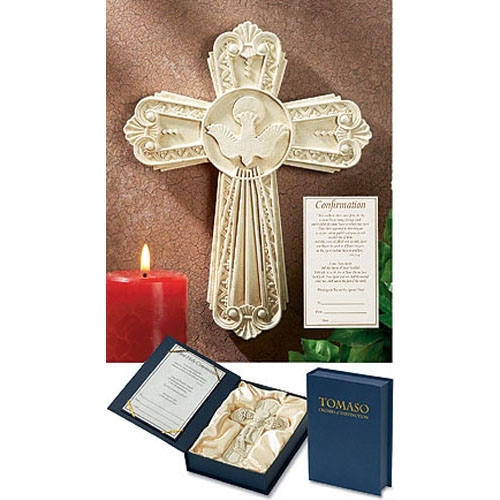 This beautiful cross comes in an elegant presentation box with the Tomaso logo in gold foil on the front. Packaged with Certificate. Resin cross is gently placed in a custom-fit bed lined in cream satin, perfect for a keepsake memento.